With the wealth of knowledge Osmo has gained over the past 100 years their chemists have formulated oils that penetrate deep into the timber. Osmo products coat the fibres of the wood preventing the timber from rotting as well as protecting it from blue stain, insects and other pests. Osmo products are easy to apply to sawn timber by brush or airless spray and smooth timbers can be coated by micro fibre roller or brush. Recently introduced to the Osmo range is the Osmo 420 UV-Protection Oil this micro-porous oil offers protection against mildew, algae and fungal attack but most importantly dramatically slows the greying of the timber keeping the colour of the timber for longer, this has become increasingly popular in recent years on oak framed buildings where the owners demand the new green oak look. A satin matt transparent wood stain for exterior use. Micro-porous protection against UV, mildew, algae and fungal attack on exterior oak or cladding. A clear solvent based exterior wood protector stops animal, wood pests, rot, blue stain and insect attack. An ideal spray solution for outdoor cleaning and maintenance of wooden furniture and decking. A common problem for timber joinery is peeling paint, Osmo have introduced Opaque Gloss Wood Stain that offers a high opacity micro-porous finish that will not flake peel or blister making it ideal for new timber window frames, doors, facia’s and other external woodwork around the home. The Osmo UV Protection Oil 425 offers the same benefits but contains oak coloured pigments to offer further protection. For decking Osmo offer their Wood Reviver Power Gell 6609 this gel gently cleans the timber removing the natural graying and pantina found on cladding and decking leaving a fresh surface ready for the application of products such as the Osmo One Coat HS Plus or the 430 Anti Slip Decking Oil. If you require a solid colour then the Osmo Country Colour Satin Matt is a high performance paint based on natural vegetable oils that is elastomeric preventing the paint from cracking, splitting and due to it’s micro-pours properties it will not blister. 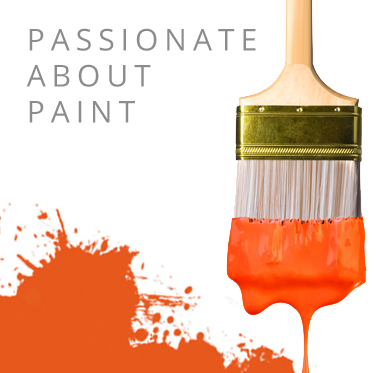 So if you require quality paints and coatings for timber then Osmo have the perfect solution.